Use a whole range of gorgeous fabrics to make the perfect apron for you candy stripes, polka dots, gingham and many more. Beautifully illustrated with specially commissioned photographs and retro inspired illustrations. 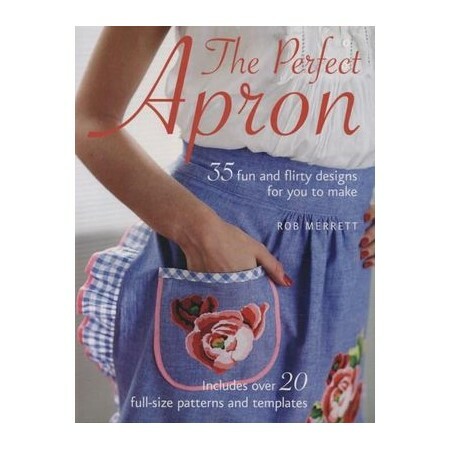 Each apron has a unique look to suit every taste and style, from country chic to cocktail glamour. Rob Merrett is a fashion illustrator and stylist who has worked with many leading design studios, apparel brands, and publications. His work has featured in Mondo Uomo, Per Lei, Vogue Nippon, and British Elle. He is the author of , and Make Your Own Soft Toys, and the author and illustrator of Doodle London, Doodle Paris, and Doodle New York City, all published by CICO Books. Rob is based in Islington, London, UK.